I hate to be a bearer of bad news, but sometimes the truth is not always good. Yes, the effects of truth telling is always positive in a matter of time, but truth in itself is not always good news to the hearer and sometimes, the bearer. The truth is: racism is not dead and racism will never die. Ideological racism will not die. We tend to believe the current generation will totally do away with racism and help wipe it off the face of earth – but that is far from the truth. I doubt that we will be as intolerant as the previous generations but there will definitely be racists of all different shapes and colors in this generation and beyond, who will be racists simply based on ideology. Ideological racism is a simply a belief system asserting that a particular group is inferior to another. Even though various individuals may subscribe to racist beliefs, the ideology of racism itself is incorporated into the culture of a society and passed on from generation to generation. The video below shows a group of college students joyfully cheering racial slurs in a song – and these are young adults in this generation. These are probably the same students who will cheer on their Oklahoma football team full of African Americans, cheer for their NBA teams and home football teams who are racially diverse.These are not students from the days of Selma. These are students in an era where by we have an African American president in the White House. These are students in the era where by we have a diverse group of athletes in the MLB and not the lone ranger Jackie Robinson. At the end of the day, while I am disgusted by the video, I’m not surprised because I have come to terms with the fact that some people will choose to hate white people, others will choose to hate blacks, gays, Muslims, Christians and etc. Some people will not be able to accept that we all can’t be the same irrespective of our core beliefs. We are all different; from the strands of our DNA to the soles of our feet. A lot of things separate and divide us – but instead of bridging the gap of differences with love, we extend the division with hate. We are a sad race of species, because at the end of the day, we fail to understand what is important: we are all human and the grave of the Christian, Muslim, gay, straight, black, white and etc. is no different. We all face the same fate in life (death) so why not go through it all with love to make it all worth it? Until the heart of individuals change, racism will not end. 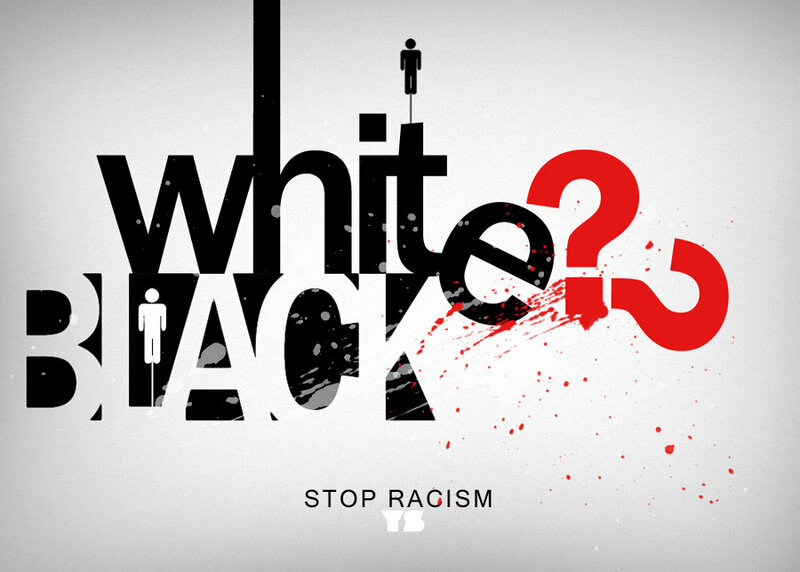 Someway, somehow, whether you are black or white, someone is simply going to dislike you. Not that ‘they fear what they do not understand’, but they have made themselves believe that they are far better than you because of the color of your skin. They do understand that you are different, but the deep rooted ideological racism will not give way for them to accept you and respect you for who you are as a unique individual. As humans, we do not have to agree with other individuals but we have to love. We have to force ourselves to love even when it is not popular to do so. We have to commission ourselves to appreciate our differences and bridge the gap with love instead of hate. Yes, the bad news is that racism is not dead and it won’t die; but the good new is that, love is not dead either.